Many people prefer to live alone for a while and this is the reason why they go with the option of getting a granny flat construction. In case, you do not know a granny flat, it is a secondary house in the same piece of land, where the primary or main house is constructed. So, a granny flat allows you to enjoy privacy and some peaceful moments. Whenever you feel like living alone, you can easily fulfill your wish by staying in your granny flat. You will not feel any kind of discomfort during your stay. It comprises all the basic features including separate bathroom, entrance, a bedroom, living area, etc. If we talk about the amount of money required to construct a granny flat then the amount would vary as per the design. However, if we talk about the cost of building a granny flat with a basic design then it would be between 68,000 and 70,000 USD. In case, you want to make your granny flat more luxurious or want to include some extra features then the cost can go beyond 100,000 USD. You can get a granny flat constructed from the scratch or you can also purchase DIY kits. In case, you are thinking regarding the options to choose from, then it completely depends on your preference and budget, as well. If you want your granny flat to be completely in accordance with your requirements then it would be somewhat difficult to consider the idea of DIY kits. In this case, it would be better if you build the flat right from the scratch. However, if your purpose is to spend some time alone and nothing more, in that case, you will surely find the DIY kits more beneficial. In the case of DIY kits, you will not have to spend a lot of time on getting the granny flat constructed. In order to help you out more, let us provide you some tips regarding keeping the cost of building a granny flat as reasonable as possible. First, hire a good builder for the construction of the granny flat. Different builders charge differently. If you are looking for a customized granny flat, then it is vital to hire an experienced builder with an impressive portfolio. However, if you are going with the idea of DIY kits then a builder even with a little experience can do a decent job. The price charged by the builder can greatly affect your overall budget. Assimilate ideas- It would be better if you gather as much as ideas related to the designs of a granny flats. You can borrow different elements from the designs and come up with your customized design. You can ask your friends to share a few designs and ideas related to the granny flats. Therefore, in this way, you will not have to hire the services of a designer. You can discuss the design directly with the builder. Compare prices- During the time of selecting a builder do not hire one without comparing four or five options. You must get in touch with at least four builders, compare their rates, and then only reach at a conclusion. Check material quality- The material quality certainly depends on the price you pay for it. However, you have to keep a good balance between your budget and material quality. 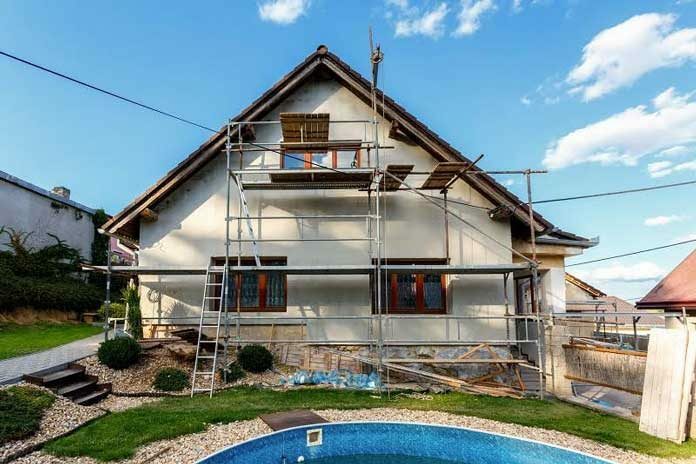 In case, your budget is a tight one, you should still aim for a decent quality construction materials. Hence, these are useful tips regarding the granny flat construction.